The Government contends that the applicable Guideline in this matter should be U.S.S.G. § 2S1.3(a)(2), § 2S1.1 , and § 2S1.3(b)(2) because the defendant filed two false FBARs and a false U.S. Individual Income Tax Return, Form 1040, within a 12-month period. However, at the time that the defendant agreed to plead guilty, the Government consistently took the position with similarly situated defendants that the applicable Guideline was U.S.S.G. § 2Tl.1 and § 2TI.4 due to the cross reference in 2Sl.3(c)(1). I thought it would be good for me and perhaps the readers of this blog to step through the Guidelines on for FBAR convictions in the context of tax crimes to follow the detail behind the Government's change in position. I will be dealing with the Sentencing Guidelines which, as of today, are the 2016 Guidelines. New versions of the Guidelines are issued every year to incorporate changes. Usually, most of the Guidelines are carried forward, with changes only to some of them. The changes can be important. I expected that there would be new Guidelines effective November 1, 2017, but could not find any posted on the United States Sentencing Commission web site and some indications that the 2017 Guidelines may not be adopted until later than November 1, 2017. So, I decided to post this entry referring to the 2016 Guidelines. Based on the changes that are being considered, I do not think there will be any change in the 2017 Guidelines from the provisions I refer to in the 2016 Guidelines. When the 2017 Guidelines come out, I will review them and make any corrections that may be appropriate to this blog entry. 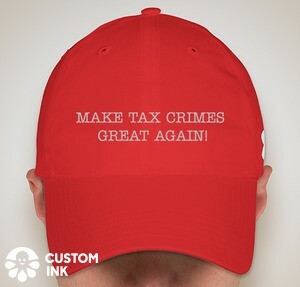 The majority of tax fraud offenders had little or no prior criminal history (80.0% of these offenders were assigned to Criminal History Category I). The median tax loss for these offenses was $218,035. 90.7% of tax offenses involved tax losses of $1.5 million or less. 25.9% of tax offenses involved tax losses of $100,000 or less. Nearly two-thirds of tax fraud offenders were sentenced to imprisonment (63.9%). Sentences Relative to the Guideline Range - I encourage readers to look at the reported statistics on within Guidelines ranges, below Guidelines sentences because of substantial assistance, other Government sponsored departures, and non-Government sponsored departures. The average sentence imposed decreased from 18 months to 15 months during that time period. I have posted a Cumulative Supplement, dated 10/28/17 to my Federal Tax Procedure Book. The book and the supplement can be downloaded from the page titled Federal Tax Procedure Book & Supplements, here, on my Federal Tax Procedure Blog. Probably the significant item for Tax Crimes enthusiasts is the discussion p. 19 in revised footnote 2023 about restitution based assessment under §§ 6201(a)(4) & 6213(b)(5). I recently alerted readers to the Supreme Court's acceptance of certiorari in Microsoft Corp. v. United States, 829 F.3d 197 (2d Cir. 2016), reh. denied, 855 F.3d 53 (2d Cir. 2017). The progress of the case in the Supreme Court can be tracked at the SCOTUSblog, here. My blog entry is Supreme Court Accepts Cert in Microsoft Involving Search Warrants for Emails on Foreign Servers (10/17/17), here. Since the application of the Fourth Amendment in the current environment where much of our private information, previously physically stored in our homes or other private places and thus subject to robust Fourth Amendment protection, is now on servers on the web and in the possession of third parties, there is a disconnect with historic Fourth Amendment analysis. Fourth Amendment doctrine no longer reflects how the world works. Technology has propelled us into a new era. Traits unique to a digital world are breaking down the distinctions on which the Court has traditionally relied to protect individual privacy. What are these characteristics? Digital information is ubiquitous. Individuals cannot go about their daily lives without generating a footprint of nearly everything they do. The resulting data is accessible, recordable, and analyzable. And because it is digital, it can be combined with myriad sources, yielding deeper insight into our lives. Data is also non-terrestrial and borderless. Bits and bytes populate an alternative world. They may be held on a server, but their generation, transfer, and availability are not tied to territory, undermining doctrines that rely on three-dimensional space. Technology, moreover, embodies an efficiency drive. Innovation makes it possible to do more, and to do it better, faster, and cheaper than before. So more information is being captured, even as the resource expenditures required steadily decline. Simultaneously digital interfaces are rapidly proliferating, replacing traditional modes of interaction. This means that new types of information are available, even as our ability to conduct our daily lives has become heavily dependent on technology. It has become a non-option to eschew the digital world, if one wants to live in the modern age. These characteristics undermine the distinctions that mark Fourth Amendment doctrine. Consider, for instance, the diremption between private and public space. The Court has long relied upon this dichotomy to determine what constitutes a reasonable expectation of privacy. It draws a line at the walls of the home, citing the risk assumed by individuals when they go out into public and expressing a reluctance to disadvantage law enforcement by forcing them to turn off their natural senses or to ignore what any ordinary person could ascertain. The amount and types of information available in the public sphere, however, have exponentially increased. WiFi and Bluetooth signals can be collected, global positioning systems and vessel monitoring systems operated, and radio frequency identification chips tracked. Automated license plate readers record the time, date, and location of cars, while network data reveals where mobile devices travel day and night. International mobile-subscriber identity-catchers pinpoint the devices located in a given area. Internet protocol databases, in turn, register users' locations. Financial transactions and credit card records place people in certain places at certain times, while cameras, enhanced with remote biometric identification, may be mounted on vehicles, poles, buildings, or unmanned aerial systems, creating the potential for 24-hour monitoring, seven days a week, ad infinitum. In June 2013, the IRS assessed an approximately $1.2 million penalty against Bussell for failing to disclose her financial interests in an overseas account on her 2006 tax return, which she was required to report in 2007. Bussell did not pay the penalty, and the government filed suit. Bussell previously had been criminally charged for concealing financial assets in 2002. On appeal, Bussell admits that she willfully failed to disclose her financial interests in her overseas account on her 2006 tax return, but she raises several arguments seeking reversal of the district court’s summary judgment ruling. Bussell relies on Bajakajian, for her position that the government’s assessment against her is “grossly disproportional” to the gravity of her defense, and therefore violates the Excessive Fines Clause. However, the assessment against her is not grossly disproportional to the harm she caused because Bussell defrauded the government and reduced public revenues. See United States v. Mackby, 339 F.3d 1013, 1017–18 (9th Cir. 2003). Therefore, Bussell has failed to carry her burden to establish that the penalty is grossly disproportional to her offense. Because the opinion is not published and the arguments, as described by the Court, seem insubstantial, I have not bothered to dig into the briefs. If anyone sees something in the case or briefs worthy of comment, please either email me or post a comment. A News article on the opinion (with some discussion of the oral argument, the prior criminal case involving bankruptcy fraud, and even a photo Letantia Bussell, identified as a Medical Doctor) Ninth Circuit Affirms $1.1 Million Civil Tax Penalty (Metropolitan News-Enterprise 10/27/17), here. The Statement of Facts, here. The Docket Entries as of about 1:30 pm 10/27/17, here. According to court documents and information provided in court, Hyung Kwon Kim, a citizen of South Korea and, since 1998, a legal permanent resident of the United States, resided in Massachusetts and later in Connecticut. Around 1998, Kim traveled to Switzerland to identify financial institutions at which to open accounts for the purpose of receiving transfers of funds from another individual in Hong Kong. Over the next few years, Kim opened accounts at several banks, including Credit Suisse, UBS, Bank Leu, Clariden Leu, and Bank Hofmann. In 2004, the value of the funds in Kim’s accounts exceeded $28 million. Kim conspired with several bankers, including Dr. Edgar H. Paltzer, to conceal the funds from U.S. authorities. Paltzer, who was convicted in 2013 in the Southern District of New York for conspiring to defraud the United States, and the other bankers assisted Kim in opening accounts in the names of sham entities organized in Lichtenstein, Panama and the British Virgin Islands. Paltzer and the other bankers facilitated financial transactions for Kim, so that Kim could use the funds in the United States. For example, between 2003 and 2004, Kim directed Paltzer and another banker to issue nearly $3 million in checks payable to third parties in the United States for the purchase of a residence in Greenwich, Connecticut. In 2005, Kim created a nominee entity to hold title for the purchase of another home on Stage Harbor in Chatham, Massachusetts, for nearly $5 million. Kim and Paltzer communicated about the purchase in a manner that created the appearance that Kim was renting the property from a fictitious owner. Between 2000 and 2008, Kim took multiple trips to Zurich, Switzerland and withdrew more than $600,000 in cash during these visits. He also brought his offshore assets back to the United States by purchasing millions of dollars’ worth of jewelry and loose gems. For example, in 2008, Kim purchased an 8.6 carat ruby ring from a jeweler in Greenwich, Connecticut, which he financed by causing Bank Leu to issue three checks totaling $2.2 million to the jeweler. In 2008, during a trip to Zurich, Kim’s banker at Clariden Leu informed Kim that due to ongoing investigations in the United States, Kim could either disclose the accounts to the U.S. government, spend the funds, or move the funds to another institution. Kim moved the funds into nominee accounts at another bank. In 2011, Kim liquidated the accounts by, among other things, withdrawing tens of thousands of dollars in cash and purchasing three loose diamonds for about $1.7 million from the Greenwich jeweler. Now, just a few comments on the documents linked above. TIGTA recently issued a report titled Declining Resources Have Contributed to Unfavorable Trends in Several Key Criminal Investigation Business Results (Ref. # 2017-30-073 9/13/17), here. Since FY 2011, reductions in staffing and available funding for CI activities contributed to a decrease in the number and size of CI field offices throughout the United States. While managing its core mission tax work with declining resources, the IRS continued to work general fraud, international, and Bank Secrecy Act (BSA) cases as well. For FY 2016, CI was budgeted approximately $576 million to fund programs that investigate potential criminal violations of the Internal Revenue tax laws and certain other laws, and recommend prosecution as warranted. Since FY 2012, the attrition of field special agents resulted in a decline in the number of cases initiated and completed. In FY 2016, CI initiated 3,395 cases, an overall decrease of 34 percent compared to the 5,125 cases initiated in FY 2012. Overall, special agents have consistently maintained inventory levels over an average of 5.30 cases per field special agent. Special agent inventories included a focus on international cases. In FY 2016, international cases resulting in sentencing improved approximately 33 percent from FY 2012. CI relies on a variety of internal and external sources to initiate cases. The percentage of cases initiated from functions within the IRS has decreased 5 percent from FY 2012 to FY 2016. The percentage of cases initiated from the United States Attorney’s Offices and other Government agency sources increased, representing 64 percent of the 3,395 initiations. Between FY 2012 and FY 2016, CI implemented policy changes that affected the BSA and identity theft cases. CI will no longer pursue seizure and forfeiture of funds related to legal source structuring cases under the BSA unless justified by exceptional circumstances. In September 2012, the Department of Justice implemented an expedited and parallel review of proposed indictments arising from stolen identity refund fraud cases resulting in a spike of initiations and completions for FY 2012 through FY 2013 of identity theft cases. TIGTA identified a trend of special agent inventory taking longer to turnover because of the increased time it takes for special agents to determine a case did not contain prosecution potential. In FY 2016, it took an average of 540 days (1.5 years) to determine that there was no prosecution potential, while it took an average of 422 days in FY 2012. Guest bloggers previously wrote about the Microsoft case and the Stored Communications Act. Peter D. Hardy and Carolyn H. Kendall, Guest Blog on Stored Communications Act Reach to Cloud Storage Outside the U.S. (4/25/15), here. The panel decision in Microsoft is here, and the order denying rehearing en banc (with concurring and dissenting opinions) is here. The Supreme Court has granted certiorari in the Microsoft case. Orin Kerr, Supreme Court agrees to review Microsoft Ireland warrant case (Volokh Conspiracy 10/16/17), here; and Robert Barnes, Supreme Court to consider major digital privacy case on Microsoft email storage (WAPO 10/16/17), here. Readers wanting to track the case in the Supreme Court may do so on the SCOTUSblog, here. The Magistrate Judge's denial of the search warrant applications was not clearly erroneous. Because the constitutional infirmities can be corrected with moderate alterations, however, the Government's search warrants will be issued with the specific modifications described in the accompanying Order. Those limitations impose (1) a date restriction on the data to be turned over by the provider based on an individualized assessment of the accompanying probable cause evidence for each email account, and (2) an instruction applicable to all the accounts that the searches be conducted through keyword searches and other appropriate protocols so as to limit the universe of data to be reviewed to that which is more likely to be pertinent. The Government is free to return and seek additional search warrants based on the new evidence it discovers. This case apparently does not involve the issue of emails stored on servers outside the U.S., and the opinion does not even mention the Microsoft case. Still, practitioners should be alert to the possibility of Government investigators obtaining search warrants requiring email service providers providers to produce emails. Even though Microsoft involves the issue of foreign servers, the Supreme Court's opinion will likely address a number of issues in this increasingly important context. Joon H. Kim, the Acting United States Attorney for the Southern District of New York, announced that HAROLD LEVINE, a Manhattan tax attorney, was sentenced today by U.S. District Judge Jed S. Rakoff to 24 months in prison for tax evasion and obstruction of the Internal Revenue Service (“IRS”), stemming from his scheme to siphon millions of dollars of tax shelter fee income from the law firm at which he worked and failing to report the diverted fees as income. LEVINE’s scheme also involved making false statements to IRS auditors, and urging a witness to provide false testimony to the same IRS auditors who were investigating LEVINE’s receipt of the fees. Between 2004 and 2012, LEVINE, a tax attorney and former head of the tax department at a major Manhattan Law Firm (the “Law Firm”), schemed with co-defendant Ronald Katz, a certified public accountant, to obstruct and impede the due administration of the Internal Revenue laws by evading income taxes on millions of dollars of fee income generated from tax shelter and related transactions that LEVINE worked on while a partner of the Law Firm. Specifically, LEVINE failed to report approximately $3 million in income to the IRS on his personal tax returns during the period 2005-2011. Most of the fee income LEVINE failed to report was routed by him through a limited liability company LEVINE controlled, which was nominally owned by a family member. As part of the scheme, for example, LEVINE caused tax shelter fees paid by a Law Firm client to be routed from the Law Firm’s escrow account to a partnership entity he co-owned with Katz and thereafter used those fees – totaling approximately $500,000 – to purchase a home in Levittown, on Long Island. LEVINE caused the home to be purchased as a residence for a Law Firm employee (the “Law Firm Employee”) with whom he then enjoyed a close personal relationship. Although LEVINE allowed the Law Firm Employee to reside in the Levittown house for over five years without paying rent, LEVINE and Katz prepared tax returns for the entity through which the home was purchased that claimed false deductions as a rental property. In February 2013, LEVINE was questioned by IRS agents concerning his involvement in certain tax shelter transactions and the fees received by LEVINE from those transactions. During that questioning, LEVINE falsely told the IRS that the Law Firm Employee paid him $1,000 per month in rent while living in the Levittown home. In addition, when the Law Firm Employee was contacted by the IRS and summoned to appear for testimony, LEVINE urged the employee to falsely tell the IRS that she had paid $1,000 per month in rent to LEVINE. Levine Plea Hearing Transcript, here. U.S. Sentencing Memo, Exhibit C, Sentencing Data Chart, here. Defendant's Reply Sentencing Memo, here. U.S. Letter Response to Defendant's Reply Sentencing Memo, here. We emphasize once again, however, that the deliberate ignorance instruction should rarely be given. Kuhrt, 788 F.3d at 417; United States v. Faulkner, 17 F.3d 745, 766 (5th Cir. 1994); United States v. Ojebode, 957 F.2d 1218, 1229 (5th Cir. 1992); see also United States v. Cartwright, 6 F.3d 294, 301 (5th Cir. 1993) ("Because the deliberate ignorance instruction may confuse the jury, the instruction should rarely be given."). The instruction is not a failsafe mechanism that the government can implement to relieve itself of proving the mens rea requirement of a crime. See Kuhrt, 788 F.3d at 417 ("The proper role of the deliberate ignorance instruction is not as a backup or supplement in a case that hinges on a defendant's actual knowledge."). We caution the government that, while this instance of misapplying the deliberate ignorance instruction amounted to harmless error, that will not always be the case. 1. The court held that the instruction may be appropriate in conspiracy cases where a proper foundation exists in the evidence. The court cited United States v. Inv. Enters., 10 F.3d 263, 269 (5th Cir. 1993) ("To the extent that the instruction is merely a way of allowing the jury to arrive at the conclusion that the defendant knew the unlawful purpose of the conspiracy, it is hardly inconsistent with a finding that the defendant intended to further the unlawful purpose.") As a side note to the specific holding, I call attention to the phrasing of the willful blindness instruction -- that a finding of willful blindness is merely a way of "allowing the jury to arrive at the conclusion that the defendant" had the requisite knowledge. I have harped on it before, but I think the willful blindness instruction should not compel a finding the requisite knowledge that is the element of the crime but merely permits the jury to find that knowledge based upon evidence of willful blindness in conjunction with all the other evidence. The concern is that once a jury learns that it can convict a defendant despite evidence of a lack of knowledge, it will be misled into thinking that it can convict based on negligent or reckless ignorance rather than intentional ignorance. In other words, the jury may erroneously apply a lesser mens rea requirement: a "should have known" standard of knowledge. Skilling, 554 F.3d at 548-49, rev'd on other grounds, 561 U.S. 358, 130 S. Ct. 2896, 177 L. Ed. 2d 619 (2010). "The instruction is appropriate [*33] only in the circumstances where a defendant claims a lack of guilty knowledge and the proof at trial supports an inference of deliberate indifference." United States v. Kuhrt, 788 F.3d 403, 417 (5th Cir. 2015). Appellants argue that the instruction was inappropriate because, with the evidence before it, the jury had the choice of deciding whether Appellants were actually aware of the pill mill activities or actually not aware of the activities. We agree. "[T]he district court should not instruct the jury on deliberate ignorance when the evidence raises only the inferences that the defendant had actual knowledge or no knowledge at all of the facts in question." Mendoza-Medina, 346 F.3d at 133-34. The government has failed to cite to specific evidence in the record that demonstrates that Okechuku, Oti, or Iwuoha purposely contrived to avoid learning of the pill mill activities. This showing is necessary as to each defendant to justify the use of the deliberate ignorance instruction. A boilerplate deliberate ignorance instruction that applies to all defendants in a case is inappropriate absent a showing that the proper factual basis exists as to each defendant. See Fuchs, 467 F.3d at 902. Where the government relies on evidence of actual knowledge, the deliberate ignorance instruction is not appropriate. Kuhrt, 788 F.3d at 417. Readers of this blog will likely recall that Congress adopted a statutory scheme to permit the IRS to assess tax restitution imposed in a criminal case without having to go through the predicate notice of deficiency and thereby expeditiously deploy the tax collection mechanisms (levy, etc.) dependent upon an assessment. I collect a number of the more relevant blog entries on the subject at the end of this blog entry. In Klein v. Commissioner, 149 T.C. ___, No. 15 (10/3/17), here, the Court held the § 6201(a)(4) "does not authorize R to add underpayment interest or failure-to-pay additions to tax to a title 18 restitution award, and R may not assess or collect from Ps underpayment interest or additions to tax without first determining their civil tax liabilities." The relevant facts are simply stated and in some respects disturbing for reasons I will discuss later. The taxpayers pled to tax perjury, § 7206(1), for 2006. At sentencing, for the Guidelines tax loss calculation, the Government submitted a calculation indicating a tax loss of $562,179 (including the tax loss for the year of the plea, 2006, and the relevant conduct years, 2003-2005). The taxpayers objected because, they asserted at sentencing, the calculations did not allow unclaimed deductions that would have significantly reduced the tax loss. The Court adopted the Government's calculations for tax loss purposes to determine the base offense level and thus the final offense level. For Sentencing Guidelines calculations, the Court adopted the conviction year and relevant conduct years for a tax loss of $562,179, but for the wife included only the year of conviction tax loss (2006). But, the Court then ordered the taxpayers to pay, jointly and severally, restitution to the IRS of $562,179 based on the tax loss for the year of conviction and the relevant conduct years. The assumption I think the sentencing court made was that tax loss for the Guidelines calculation and the tax loss for purposes of restitution are the same thing. They are not the same concepts. The numbers will sometimes be the same, but not necessarily. For example, although not applicable in the case, the tax loss can include the intended tax loss whether or not a tax loss actually resulted. More pertinent, the tax loss can omit unclaimed deductions otherwise permissible but the restitution amount should not because unclaimed deductions, if proved, means that the IRS did not suffer loss of the taxes covered by the unclaimed deductions. Therefore, the Court should not simply adopt the tax loss calculation as the restitution amount where the defendant is asserting unclaimed deduction that may not be available in calculating the tax loss. See Restitution Less than Tax Loss Based on Burden of Proof for Unclaimed Deductions; and Application of Section 3553(a) / Booker (Federal Tax Crimes Blog 1/19/14), here. The problem as I discuss in some of the blog entries cataloged at the end of this blog entry is that simply adopting the tax loss may result in tax restitution exceeding the actual tax loss to the IRS. And, once the restitution order becomes final, the IRS can assess and is unable to do anything about it even if it knows that the restitution assessment is excessive. In other words, if indeed, the defendants in Klein had unclaimed deductions that would materially lower the actual tax loss to the IRS, they were screwed by the entry of the restitution order in the amount of $562,179. (To avoid this injustice, I have previously argued that the tax restitution amount should be the lowest possible amount of the possible tax liability, with the IRS then making up any difference through its civil audit deficiency procedures. See What Can Be Done If Tax Restitution Exceeds the Tax Due (Federal Tax Crimes Blog 9/2/13), here. In United States v. Park, 2017 U.S. Dist. LEXIS 165173 (N.D. Ill. 10/5/17), here, the Government sued to collect an FBAR willful penalty (erroneously called a tax penalty) assessed against a taxpayer, deceased, and joined the taxpayer's family members on various transferee liability provisions. The Court granted the children's motion to dismiss for failure to lead the cause of actions properly, but granted the Government leave to file an amended complaint resolving the deficiencies. For context, the original complaint is here. The government has not come close to describing with particularity the precise circumstances of the alleged transfers in the way that these decisions have required. The complaint contains no particularized description of the events surrounding the conveyance of Mr. Park's assets or the Trust to the Park children; in fact, it makes no particularized allegations of any such conveyance or conveyances at all. Particularized facts concerning "what (or how much) was transferred, when the transfer was made, how it was made, who made it, who received it, and under what circumstances," are largely missing; the government only pleads who received the alleged transfers (the Park children). The government has not met its pleading burden under Rule 9(b) on Counts V and VI. The Court also rejected the Government's claims that, as to Illinois common law for tracing asset transfers, the more liberal Rule 8 pleading standard applied and was met. The Court rejected the claim. Finally, for additional flavor, readers should review the complaint which I link above. The Court did give the Government leave to amend to correct the deficiencies if it can. JAT Comment: There was an issue floating around at one time as to whether the FBAR penalty was the type that abated upon the penalized party's death. I suppose that issue, to the extent that it is still alive, might be presented in the case. I did research that issue at one time and concluded that it was a long shot at best. In United States v. Pomerantz, 2017 U.S. Dist. LEXIS 165488 (W.D. Wash. 10/5/17), here, the court denied Pomerantz's motion to dismiss in this FBAR willful penalty civil action. I previously reported on the court's granting in part of a prior motion to dismiss. See Court Dismisses Government Complaint for FBAR Willful Penalty with Leave to Amend for Failure to Allege Facts Supporting Willfulness (Federal Tax Crimes Blog 6/12/17; 6/26/17), here. The Government amended the complaint and in this latest order, it survives the motion to dismiss. Readers can review the order for the details, but basically the Government made relatively minor amendments which were sufficient to satisfy the pleading requirements. In case number 25058-15 before the United States Tax Court, Pomerantz stipulated to entry of a decision including a tax deficiency and civil fraud penalty under 26 USC § 6663 with respect to his [2007-2009] United States income tax liability. Both the deficiency and the fraud penalty for the [2007-2009] tax year[s] to which Pomerantz stipulated in the United States Tax Court case were based at least in part on income generated by and/or income deposited into the foreign accounts identified in paragraph 21, above, that were not disclosed on Pomerantz' [2007-2009] income tax return[s]. JAT Comment: I have no substantive comment since the holding is straightforward and routine. The merits will be fought out later. The indication is that Pomerantz is proceeding pro se. Hurley is precluded from challenging the jury's verdict regarding this crime because he asked that the jury be permitted to consider it as a lesser included offense on this count. United States v. Butler, 74 F.3d 916, 918 n.1, 924 (9th Cir. 1996) (rejecting argument that conviction on lesser included offense was improper when defendant himself requested the challenged instruction). Even if Hurley received nothing of value on the day he allegedly solicited the $20,000, his actions at trial invited any error in the verdict. See United States v. Frank, 36 F.3d 898, 903 (9th Cir. 1994) ("The doctrine of invited error prevents a defendant from complaining of an error that was his own fault." (citation omitted)). The doctrine is most frequently encountered at the close of a trial for a greater offense when one of the parties wants the jury to have a choice in addition to guilt or acquittal on the charged greater offense. Why would either the prosecutor or the defendant want to present to the jury this additional choice? The prosecutor may be concerned that he has not proved all elements of the greater offense beyond a reasonable doubt or that the jury may not be willing to convict for the charged greater offense but, the prosecutor fears, will return a verdict of acquittal unless given a lesser alternative. The defendant may assess the risks differently. The defendant may be concerned that the jury will convict of the greater offense rather than acquit, but would convict only of the lesser offense if offered that opportunity. If the jury properly determines that one or more uncommon elements of the greater offense were not proved beyond a reasonable doubt, but that all of the common elements were proved, a conviction for the lesser included offense works just as the lesser included offense doctrine is intended to work. It permits the jury to convict for the lesser offense because the lesser offense was proved beyond a reasonable doubt. But a fear expressed with presenting to the jury an alternative between conviction and acquittal is that it will permit a jury to compromise. Moreover, even in a case where the jury believed the elements of the greater offense were proved, the jury may think the law simply wrong and effectively nullify it in the case by returning a verdict of not guilty. Offering the compromise verdict may effectively mitigate the benefits or harms (depending on perspective) of occasional jury nullification. And perhaps the greatest concern — a concern of constitutional dimensions — arising from a failure to give a lesser included offense choice to the jury where it is appropriate is that without that choice the jury may convict where it is convinced that the defendant did something seriously wrong and worth punishing even though it is not convinced that he is guilty of the crime charged. I had not previously considered the issue of whether the lesser included offense presented to the jury at the defendant's request would preclude the defendant from questioning whether the evidence supported a conviction of the lesser included offense. Apparently it does. I attach the Government's brief, here, which, at pp. 47-52, the Government discusses the authority the Ninth Circuit accepted summarily. Because Hurley asked for the lesser included offense instruction, the Court sustained a conviction that the evidence apparently did not support. That is a bit odd. It seems to me that the time to hash out whether there is a sufficient record to permit the instruction is at the close of trial. In United States v. Wrubleski, 2017 U.S. App. LEXIS 17168 (11th Cir. 2017) (nonpublished), here, Wrubleski was convicted of one count of tax obstruction under § 7212(a), and four counts of false claism under 18 USC § 287. I focus on the tax obstruction count and Wrubelski's argument on appeal. In this regard, I remind readers that the Supreme Court has accepted certiorari in a tax obstruction case. See Supreme Court Grants Certiorari in Marinello Involving Whether § 7212(a)'s Omnibus Clause Requires Knowledge of Pending Investigation (Federal Tax Crimes Blog 6/27/17), here. Wrubleski does not involve the issue in that Marinello. At trial, the government called Ken Hochman, an attorney at the IRS, as one of its witnesses. Hochman testified that he represented the IRS in United States Tax Court, including in a case filed by Wrubleski in 2004 in which Wrubleski challenged the validity of an IRS collection action. Outside the presence of the jury, the district court expressed concern about Hochman's testimony. The court said it was "concerned that  the government is attempting to take a taxpayer's participation in [the IRS] review process . . . as activity that can be looked at for the basis of a criminal charge" because "the government thinks the taxpayer was so baseless" in bringing the Tax Court action. The government explained that although Wrubleski's litigation in Tax Court could not itself constitute the crime of interference with the administration of the Internal Revenue laws, Wrubleksi's previous experience in Tax Court showed his "overall willfulness" to commit other acts that constitute the crime. I want to be clear that the fact that [Wrubleski] went to tax court, and the fact that, for instance, the government may not be happy with how [he] acted in the tax court . . . that can't be the basis of a charge of corruptly trying to impede the proper administration of the Internal Revenue Service. If you tell somebody they can take an appeal [to the Tax Court] and they take an appeal and they lose the appeal, that's not the basis of the charge here. The court then explained that information about Wrubleski's Tax Court litigation was "relevant only to the question of whether the government can prove that Mr. Wrubleski acted willfully." Before resuming Hochman's testimony, the court reiterated: "I want to make sure that everybody understands that how Mr. Wrubleski conducted himself in the litigation, that cannot serve as the basis for the first charge, which is the charge of corruptly impeding the administration of justice." Despite the court's instruction, Wrubleski moved for a mistrial on the ground that his "use of judicial [*4] process . . . has been portrayed as being something improperly done toward the IRS." The district court denied his motion. Wrubleski appears to argue that using a defendant's previous legal proceedings against the IRS to prove the offense of interfering with the administration of the Internal Revenue laws, 26 U.S.C. § 7212(a), is an improper "theory of culpability." He says the evidence of his Tax Court proceedings showed only that "[h]e took advantage of the legal avenues offered to him," and did not prove he was "corruptly trying to obstruct or impede the IRS." Even assuming it was error to admit the evidence of Wrubleski's litigation history—a question we need not decide—the admission of this evidence did not mandate a mistrial here because the court gave an adequate curative instruction. The district court agreed with Wrubleski that a person's litigation in Tax Court could not constitute a violation of § 7212(a). As we described above, this prompted the district court to give an extensive curative instruction. The court instructed the jury that any actions Wrubleski filed in Tax Court "can't be the basis of a charge of corruptly trying to impede the proper administration of the Internal Revenue Service. . . . [H]ow Mr. Wrubleski conducted himself in the litigation, that cannot serve as the basis for the first charge, which is the charge of corruptly impeding the administration of justice." "When a curative instruction is given, this court reverses only if the evidence is so highly prejudicial as to be incurable by the trial court's admonition." United States v. Garcia, 405 F.3d 1260, 1272 (11th Cir. 2005) (per curiam) (quotation omitted). Here, the evidence that Wrubleski challenged his tax liability in Tax Court was not so prejudicial as to be beyond the cure offered by the district court's prompt and thorough instruction. Because the district court cured the error Wrubleski complains of, the court did not abuse its discretion in denying his motion for a mistrial. See Newsome, 475 F.3d at 1227. I have written before on the breadth of the Government's claims as to what constitutes obstruction for tax crimes, including tax obstruction in 7212(a) and the defraud / Klein conspiracy in 18 USC 371. See John A. Townsend, Tax Obstruction Crimes: Is Making the IRS's Job Harder Enough, 9 Hous. Bus. & Tax. L.J. 255 (2009), here; and in a companion online appendix, 9 Hous. Bus. & Tax L.J. A-1 (2009), here. The issue presented in Wrubleski, of course, is whether a defendant with a pattern of obstruction gets a pass with respect to his handling of a Tax Court case -- or presumably any other court case. That is, how he brought and pursued the case could be a continuation of the overall pattern and thus part of the conduct within the scope of the crime. Usually, as here, the are enough facts left in the pattern independent of the court proceeding that the conduct in the court proceeding is surplusage. In a case like that, it would probably be the better part of wisdom on the prosecution just to not offer the evidence and on the judge not to allow introduction. In United States v. Parker, 2017 U.S. App. LEXIS 18103 (1st Cir. 2017), here, Parker was convicted of firearm transportation and firearm transportation after a felony conviction. 18 USC §§ 922(g)(1) and (a)(3). Parker raised several interesting issues, but I focus on the willful blindness issue because it has played a prominent role in criminal tax cases. At a charge conference held before the close of evidence, the judge asked the parties if he should give a willful-blindness instruction and if so, why. The prosecutor responded that yes, the judge should give the charge. For support, the prosecutor pointed to Parker's post-arrest statement to law enforcement that Scott had paid him $200 "like three times" to drive him to New Hampshire but that "each time, when we stayed in the hotel, when we came back to Boston, the only thing we came back with was marijuana." Parker added that he "didn't want to know" what else Scott was up to — and though Scott once went to the car to get "stuff," a word Parker took to mean guns, Parker claimed that he left the room because he "didn't want to know about nothing." According to the prosecutor, Parker's comments show "that he's willfully blind by attempting to close his eyes to the conduct." "I think it's fairly presented in the evidence or it certainly will be when the government introduces [the] statement tomorrow," the prosecutor stressed. Parker's lawyer saw things differently, to put it mildly. The government does not "have to" put Parker's statement in evidence, counsel said. "We're not putting any evidence in" on the lack-of-knowledge issue, he added. And, he noted, the prosecutor "can't put [the statement] in and then say I want to get a particular instruction that otherwise would be inappropriate." Focusing on the proposed instruction's language, counsel complained that the judge could not use it because it would have "the effect of shifting the burden of proof" on the questions of Parker's knowledge and intent. The judge reserved ruling on the matter, saying he wanted to see what Parker said, "assuming [the statement] comes in." "I'm going to go back and look at the case law on willful blindness, when it's appropriate and when it isn't and give some more thought to it," the judge added. The next day, the judge told the parties that he intended to give a willful-blindness instruction. Regardless of whether Parker claims a lack of knowledge, the judge ruled, his statement — if it is as represented by the government — "suggest[s] a conscious course of deliberate ignorance," and the charge "as drafted does not suggest in any way that an inference of knowledge is mandated." Later that morning, the government — without objection — introduced the statement. The government rested its case that same day. The defense, in turn, rested too — without calling any witnesses. The attorneys then made their closing arguments. And the judge gave the final charge to the jury. Pertinently for our purposes, the judge instructed the jury that it "may infer" Parker "had knowledge of a fact if" it found Parker "deliberately closed his eyes to a fact that otherwise would have been obvious to him." "[T]o make such an inference," the judge explained, the jury had to "find two things: [f]irst, that [Parker] was aware of a high probability of the fact in question; and, [s]econd, that [he] consciously and deliberately avoided learning that fact — that is to say, he willfully made himself blind to that fact." And, the judge emphasized, whether Parker "deliberately closed his eyes to [a] fact, and, if so, what inference, if any, should be drawn," was "entirely up to you." Also, the judge cautioned the jury that Parker "must have consciously and deliberately avoided learning the fact" — neither "[m]ere negligence, recklessness or mistake in failing to learn the fact," nor "[t]he fact that a reasonable person in [Parker's] position would have known the fact," sufficed. Plus, the judge warned that a finding that Parker "made himself willfully blind to one or more facts" was not alone "sufficient to find him guilty of a crime." Rather, the prosecution had to "prove all of the elements of the crimes as charged in the indictment" — something the judge stressed after referring to Parker's presumption of innocence and the prosecution's burden to prove beyond a reasonable doubt the elements of each offense.